The UK company law regulates companies formed under the companies act 2006. The UK company law has two parts. Corporate Governance in the UK manages the duties and rights of the employees, shareholders, directors and creditors. Usually the Board of Directors within a company has the power to manage and control the company, this also ensures that the Director’s accountability within the company. If you’re preparing to specialise as a corporate lawyer, getting help from a private law tutor can be helpful, in supporting your law studies and exams. 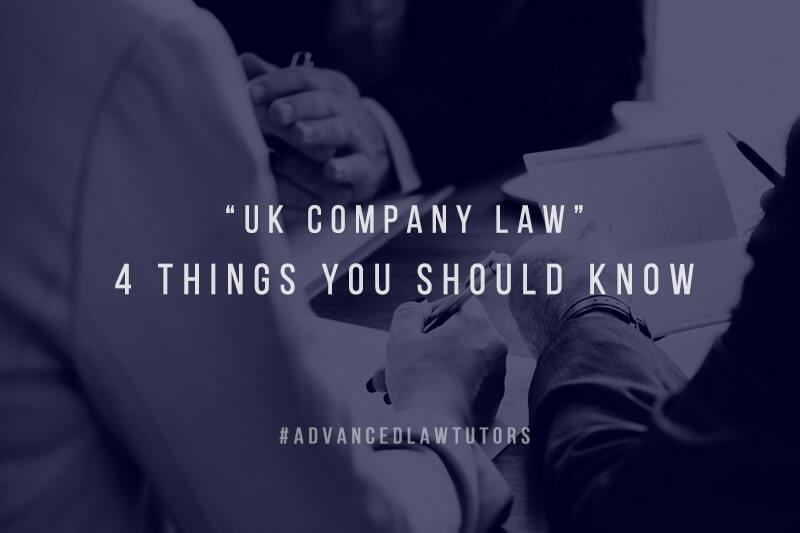 Let’s look in to 4 key things that you must know, regarding UK company law. Formations of companies are done in various ways. Unlimited companies are responsible for all debts and losses under Private law. The later being most poplar for most general businesses. General meeting is held normally once a year, also known as AGM or annual general meeting. This is done so that, the company can elect new board member/s, making important announcement and decisions regarding the company and its past performances, future plans, etc. Generally people or organisations who buys shares in a company. The rights of shareholders can be different based on types of share they hold within a company, which is defined within shareholder’s agreement. Need to explore more regarding company law or any other areas of law? Our team of law tutors can be very helpful in meeting your needs. Get in touch with us when you have more queries.